“Non!” I should be used to this expression by now after over two years of living in France. 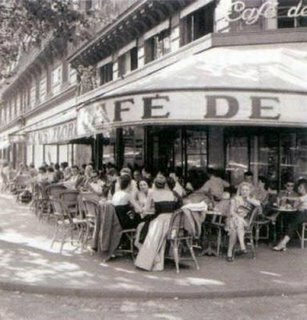 (“Non,” en français, is short for “yes, but I’m French so I’m going to make things unnecessarily difficult for you.”) I was last told “Non!” at Parisian café qua historical establishment Le Café de Flore when I asked for an afternoon Cappuccino with a few amis. “Um, excuse me?” I questioned the tiny little French man in the apron standing before me, tray in hand and nose in the air. He pointed to the menu – “On n’a pas de Cappuccinos sur la carte,” he pointed out. And rightly so, there was indeed no Cappuccino on the menu. “But I’ve been here a million times and ordered perhaps just that many cappuccinos over the years,” I explained. It may not be on the menu, but the fine people of Flore certainly do know how to make a Cappuccino. I may even have photos to prove it (if not, certainly fond memories of coffee and frothy milk to speak of.) 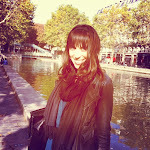 After an extended debate with this Monsieur, the truth finally sunk in: Café Flore no longer makes Cappuccinos. What kind of a café doesn’t make Cappuccinos? Certainly not a famous one that has been the stomping ground of the crème de la crème (oui, pun very intended) of the French intellectual scene from the days of Jean-Paul Sartre and Simone de Beauvoir to the days of, well, Rebecca Lynn Leffler. But oui oui – sacré bleu! 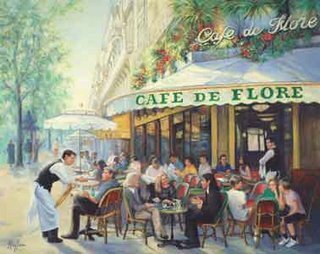 – the Café de Flore does not serve Cappuccinos. Pourquoi? According to the Manager, the strange menu change is due to “an executive management decision.” I can visualize the scene in my head: a dozen old French men in suits and ties sit around a smoky room. The agenda: the menu at Flore. The Manager, when queried, was not able to identify the cause of the menu change, but agreed that all of the necessary ingredients to make a cappuccino – namely coffee, frothy milk and cinnamon – were indeed available on the premises. So what can explain such a mysterious menu alteration? I’ve developed a number of hypotheses, and am determined to solve this puzzle. Cappuccino –disappearance Theory #1: Perhaps their Cappuccino machine broke and they don’t have the budget to buy a new one. However… a) then where does the budget to print all new menus come from? And b) Hundreds of people frequent the café every day and pay a ridiculous amount of money for mediocre food, I highly doubt that the café needs to make budgetary compromises. Cappuccino –disappearance Theory #2: Maybe it’s an election campaign tactic. In a few weeks, I bet Segolène’s new slogan will be “l’ordre juste: Bring Back the Flore Cappuccino!” and Sarkozy will be calling for a “selective coffee filtering system.” That is, no African or Chinese coffee. Only highly educated, rich beans. Cappuccino –disappearance Theory #3: It’s a governmental ploy to enforce the smoking ban in public places as of 2007. A Cappuccino calls for a cigarette and, without Cappuccinos, perhaps French fumeurs won’t be tempted to light up while reading Le Monde and watching that tacky touristy couple making out by the window. Cappuccino –disappearance Theory #5: The “management” found out his wife had been cheating on him and his little French dog had gotten run over by Karl Lagerfeld’s Hummer on the Boulevard St Germain des Pres all on the same day and simply took out his anger on the Cappuccino. I’m going to go with this one. But what will this mean for the nation of Gaul? Or, more specifically, its capital city? The town has gone mad. The fat French lady (yes, there must be one somewhere) has sung…pigs have flown (straight into your Croque Monsieur)… as the French hoodlums say “c’est ouf!” While the disappearance of this ubiquitous beverage may not seem like cause for national uproar, believe you me: first, the disappearance of the Cappuccino from the menu…later, they’ll announce they’ve done away with the Croque Madame (“egg shortage”) and have stopped selling apple tarts because “an apple a day does not indeed keep the doctor away as previously believed”… and finally, they’ll ban red wine and boeuf tartare and the French population will perish all because of a mere refusal in early 2007 to serve a young American girl a hot cup of espresso coffee, steamed milk, powdered cinnamon and whipped cream. Great writing, lively ideas, but isn't it obvious why the Flore isn't serving cappucinos? They ain't French! Country of De Gaulle and all that... I uphold their decision - someone has to insist that the only coffee options are bitter espresso and watery crème. For that matter why don't they offer acorn coffee, as drunk during the French resistance? Those who want cappucino can go to Starbucks.